Social Media is about bringing people together and this fits so well with what most charities are trying to do. They want to raise awareness of their cause and create a community of people willing to support that cause. 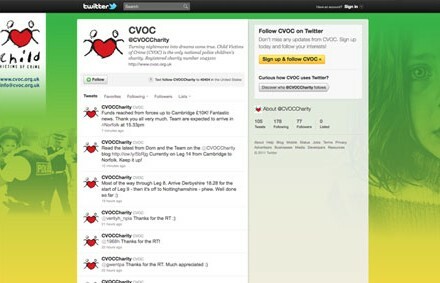 Using Social Media allows charities to ‘speak’ directly to people. This in turn helps with the organisation of events or campaigns and can be invaluable in co-ordinating people from all over the country or even the world. When we ‘follow’ on Twitter, or become ‘fans’ on the Facebook pages of charities, our own followers and fans see we’re doing it. Unlike in the consumer world where our choices might be approved of, or perhaps disliked, no one judges the ‘Like’ of a worthy cause. This is a good thing don’t you think. After all, people can’t be criticised for being charitable can they! So for the Followers and Fans it’s a good place to be, a win win situation. Using Social Media is a great way for charities to measure their success too. Numbers of followers and fans can be seen, and those numbers will turn into donations. Making it easy to link to donation sites via the Fan page or with links from tweets on Twitter really does make giving ‘as easy as peas’. Another major benefits of Twitter is the number of celebrities with accounts, some having thousands even millions of followers, who are willing to support charities via their Tweets and Retweets. Time and again we have experienced celebrities who gladly do this. We’ve also had Direct Messages from new followers who say they are following as a direct result of a Tweet from a celebrity who encouraged them to follow the cause. Social Media is a huge platform on which charities can really show what they are all about. The available audience is bigger than any television channel can ever hope to offer. It’s available 24/7, on demand. Social Media can take advantage of sites such as YouTube, Twitter, Facebook and Flickr. And it’s easy for the viewer, just a click away. Everyone wants to be ‘liked’ and in these times of hardship one thing is certain, it’s better to be seen as a giver than a taker. Charity is cool and now it’s so easy to be part the cause.